This is a slightly edited version of a story that was first published in New Matilda on June 5, 2015. NSW taxpayers are forking out millions to global corporation Aecom to provide environmental impact reports for the Westconnex motorway. The same company is already helping promote and build it. AECOM is managing the yet to be completed EIS process for both the M4 tunnel and the M5 duplicate sections of the $15.4 billion project. The company's heavy involvement in the whole project raises questions about the reliability and integrity of the planning assessment process. AECOM is also subject of ongoing legal action in Queensland - more than 650 investors are suing for $150 million, claiming the company’s traffic predictions for a privately-owned toll-road in Brisbane were substantially inflated. The global engineering, energy and design company AECOM has been paid $1.6 million for the M4 tunnel EIS. Public details for the M5 EIS contract are not publicly available. AECOM has previously partnered with Leighton Contractors, which is part of the successful M4 joint venture winning bid with John Holland and Samsung C&T to construct the Westconnex M4 East. AECOM and Leightons been joint construction partners in other road building contracts, and jointly bid for the East West Link in Melbourne but withdrew the bid on the grounds that it was too risky. This is one of six contracts the company has been awarded by the WestConnex Delivery Authority (WDA) over the last 18 months. The contracts have a combined value of over $9 million, and cover a range of services. AECOM was involved with preparing WDA’s proposal for Stage 2 of WestConnex (the M5 tunnel) and is involved in business and traffic estimates for other parts of the project. The M4 East environmental assessment contract itself includes broader services, described as “Design Development & Communications Services” on the Contract Award Notice. AECOM was the only company that tendered for this contract, which was awarded in January 2014. The requirements for the EIS include a detailed consideration of the tunnel’s impact on noise, air and water quality, biodiversity and a description of how the project applies principles of ecological sustainability. It must also report the impacts on traffic, transport, social and economic impacts and include “analysis of feasible alternatives to carrying out the project and project justifications”. These claims are hotly contested. They are also claims that AECOM engineers are supposed to be investigating - so how can one have confidence in their conclusions, particularly given their past mistakes that were perhaps also the product of a desire to promote the Brisbane project. 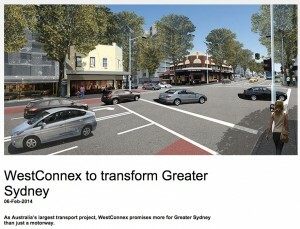 An independent study commissioned by City of Sydney found that WestConnex will actually increase traffic congestion on Parramatta Road. In May the SMH reported that the WDA’s own traffic assessments show that the $15 billion projectwill not stop Sydney traffic from worsening. *Two contracts worth more than $777,000 to work on the Stage 3 of the motorway, which is a tunnel linking the M5 and M4. These Stage 3 contracts include design engineering, business development, and environmental and technical services for the tunnel, about which almost no information is available. In addition to AECOM’s contracts, the company of ex-CEO of AECOM Australia and New Zealand, Michael Batchelor, who left AECOM in May 2014 to establish a new consultancy Nimbus Consulting Pty Ltd, is being paid $445,000 between January and July this year to provide an “interface between industry and the government”. Batchelor describes this on his LinkedIn profile as providing advice to NSW Roads and Maritime Services on its governance of, and interface with, WestConnex. When contacted by New Matilda, Batchelor sent a message to say that as a “humble consultant to RMS”, he was not authorised to speak on behalf of WDA and suggested we contact WestConnex. 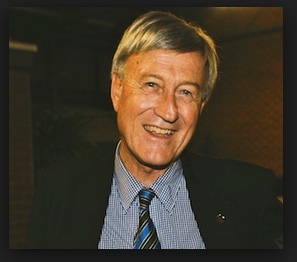 There is no inference from New Matilda that Batchelor is in any way involved in any corrupt conduct. More broadly, very little information about NSW government contracts is available to the public. Notices for contracts worth more than $150,000 are published on the NSW Government eTendering website, but are removed soon after a contracts expires. This is in stark contrast to the Federal register, where historic contracts remain available. The NSW system makes it more difficult for the public to track the development process in NSW. Once delivered, WDA will lodge AECOM’s report with the NSW Department of Planning and Environment. There will then be a one month opportunity for public feedback and submissions. The NSW Minister for Planning, Rob Stokes, is responsible for final approval of the project. Thank you for your enquiry. All media enquiries relating to the WestConnex project are being handled by Alisha Allen, the Media and Government Manager, WDA. Asked to comment on a hypothetical scenario in which a company responsible for environmental assessment processes was also responsible for preparing a proposal for other aspects of a major project, transport planning expert and Professor of Sustainability at Curtin University, Peter Newman told us: “Goodness me. It's makes it sounds like they (a hypothetical company) are being used as part of the proponent’s case if they are also doing the assessment. Newman was a board member of Infrastructure Australia at the time the motorway was first proposed. He is also a member of a Scientific Advisory Committee with the United Nations Educational, Scientific and Cultural Organization (UNESCO). Professor Newman considers that WestConnex only became a serious proposition when Prime Minister Tony Abbott took up the issue while still in opposition, and that the project is highly politicised. He described the planning processes around WestConnex as, “very tight knit… (this scenario) doesn't surprise me because I was involved in the planning side. The planning was really very, very light - just a few ideas being thrown together without any serious detailed work being done, and all the detail that was done showed very poor cost-benefit ratio. “They have completely subverted the normal planning processes and now they’re subverting the consulting processes. “It’s corrupting the process, that is what you can say. It doesn't mean that it is corrupt in a legal sense, but it is close to the edge." Another unusual feature of the M4 East is that while the EIS must look at “feasible alternatives” and “project justifications”, the contracts for construction will be awarded before it’s complete or planning approval has been granted. Professor Newman told New Matilda that awarding the contracts before approvals is given is “tending to happen now although environmental approvals were usually considered to be part of the work you needed to do before you gave out contracts. But now it's all just considered to be 'green tape' ... contracts have to be let so they (roads) can be built or at least begun before the next election”. It is certainly hard to have confidence in a planning process run by a government that has already handed out contracts for the project that it has yet to approve. While AECOM has been contracted for 'Traffic Director' services on WestConnex in Sydney, it faces a class action over its traffic forecasts for the failed Clem 7 tunnel in Brisbane. Brisbane’s Clem7 RiverCity tunnel carried less than one quarter of the traffic forecasted after it opened in 2010. Legal firm Maurice Blackburn is representing 650 investors who are seeking to recover losses of more than $150 million from AECOM. According to Maurice Blackburn’s website, the case alleges that AECOM made forecasts without reasonable grounds, and left critical information out of its report published in RiverCity's Disclosure Statements. It also allegedly failed to reveal that earlier traffic forecasts it had developed for Brisbane City Council showed traffic volumes substantially lower than those in the RiverCity Disclosure Statements. AECOM is defending the action and has made cross claims against directors of RiverCity. The case is listed for hearing in 2016. Planning Minister Stokes did not respond to a question about whether he was aware of this court action.